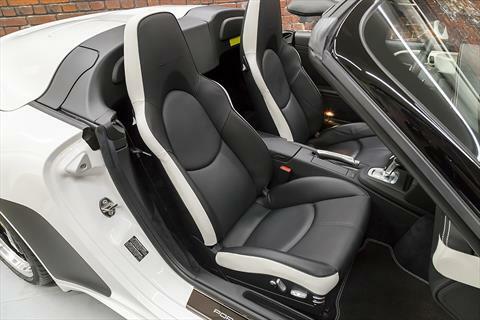 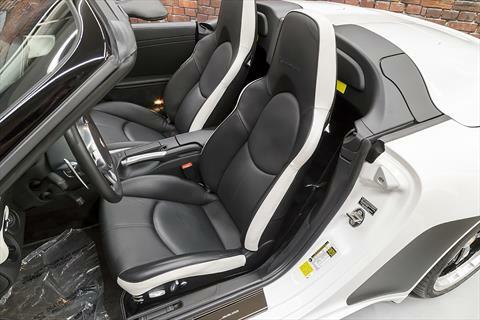 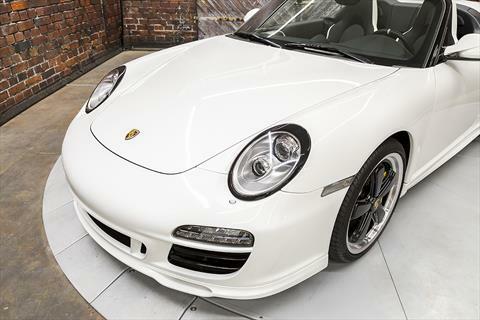 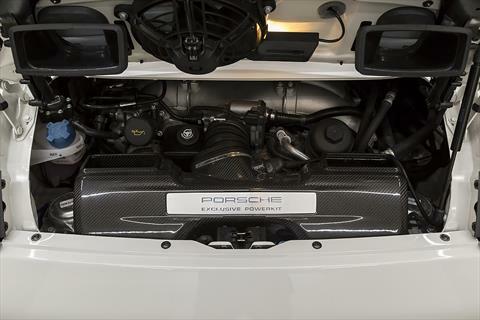 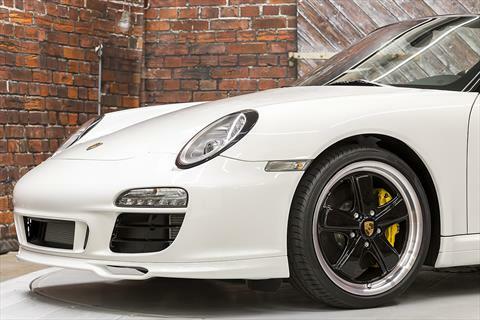 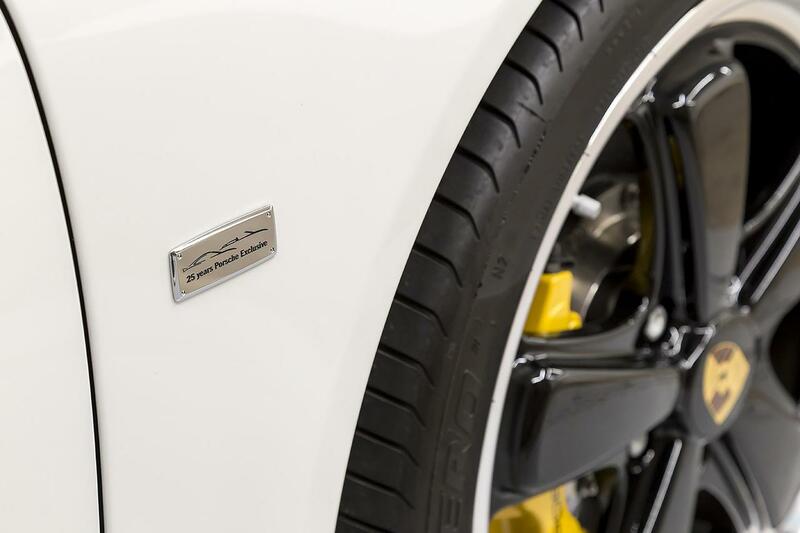 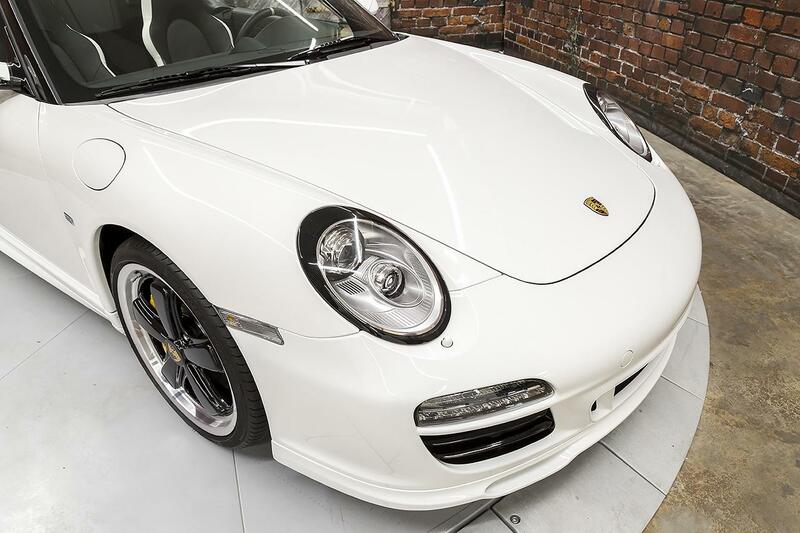 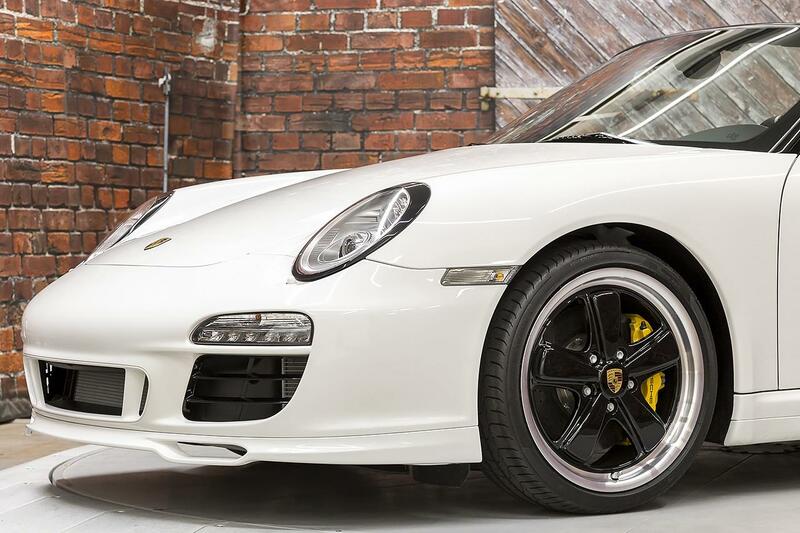 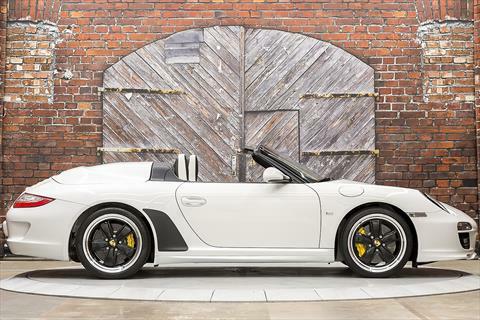 Presenting this Very Rare 2011 Porsche 911 Speedster #049/356 in Carrara White over a Black and Carrara White Leather interior (with special-ordered deletion of the checkered flag design) with only 1,587 original miles. 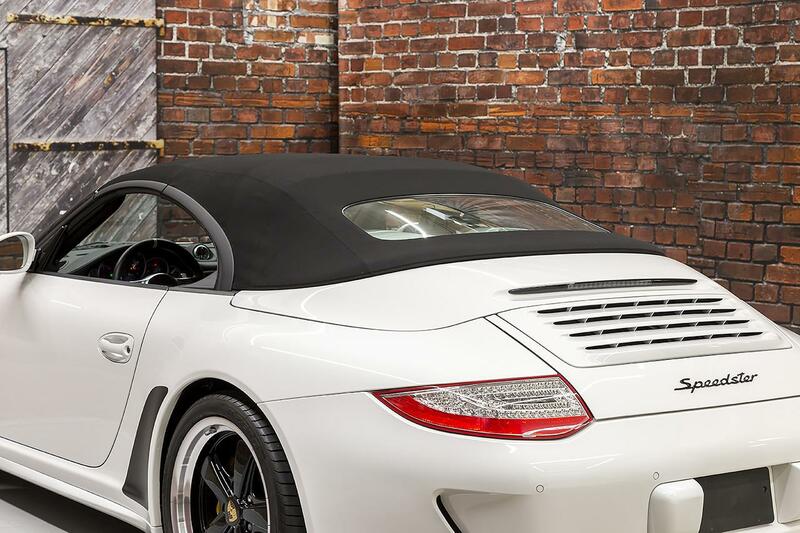 Of the very limited run of just 356 produced for the world, only about 100 were actually brought to the U.S. 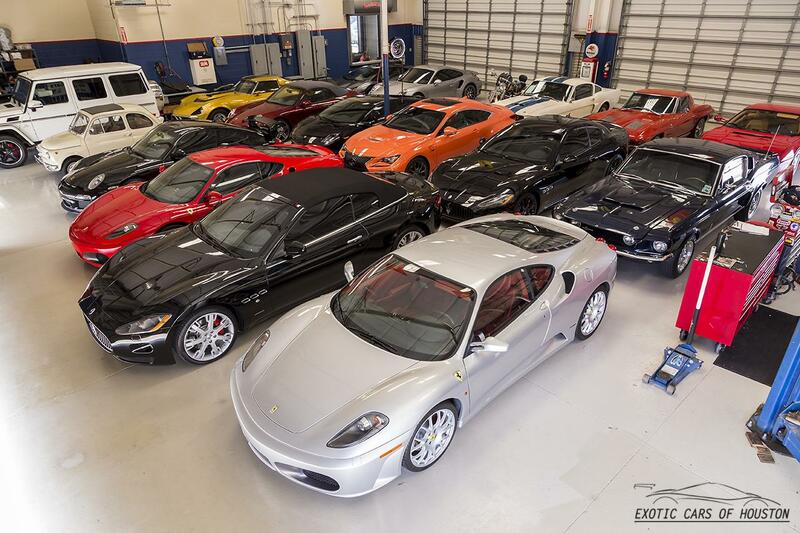 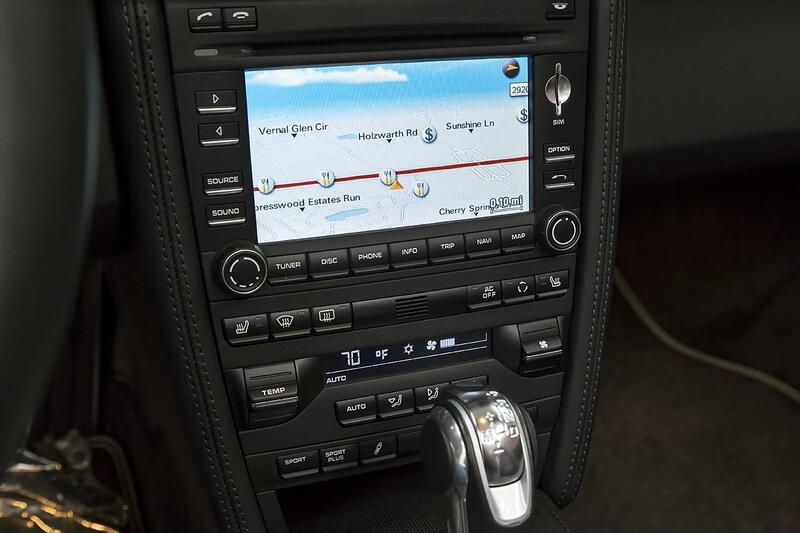 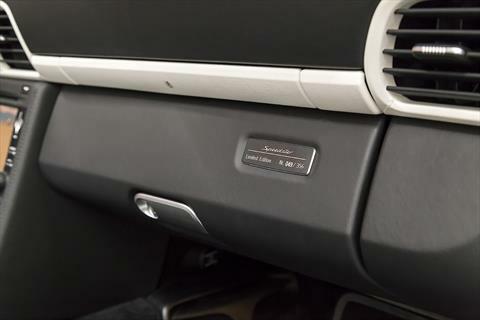 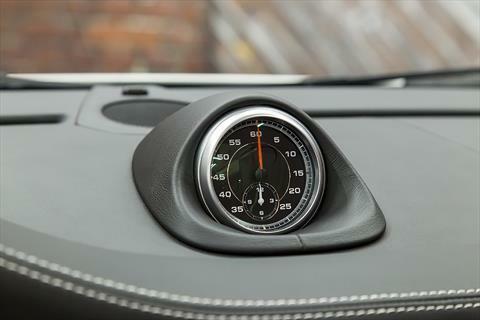 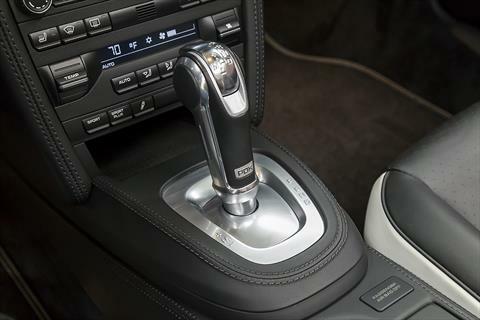 The 2011 Speedster is powered by a 3.8L Flat-6 engine equipped with the Porsche Power Kit producing 408 hp and 310 lb-ft of torque through a 7-Speed PDK transmission. 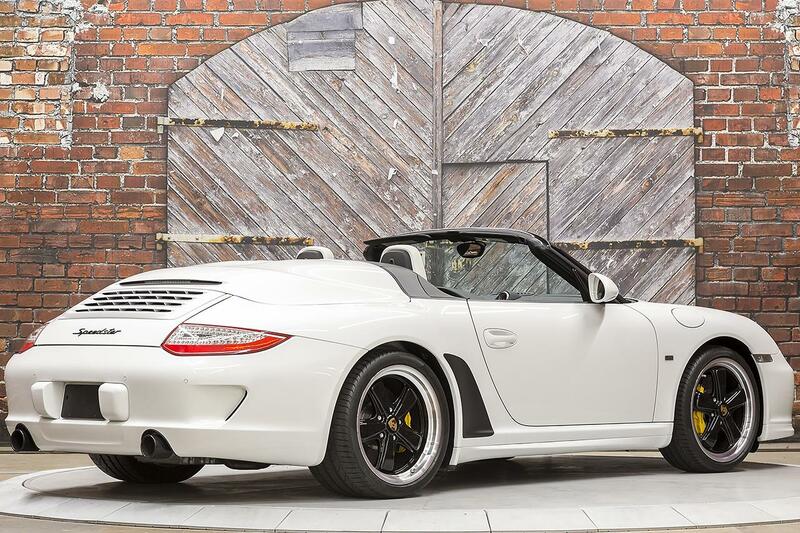 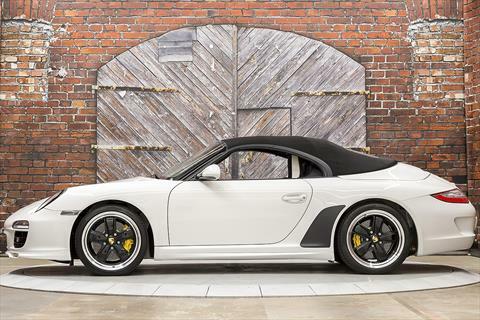 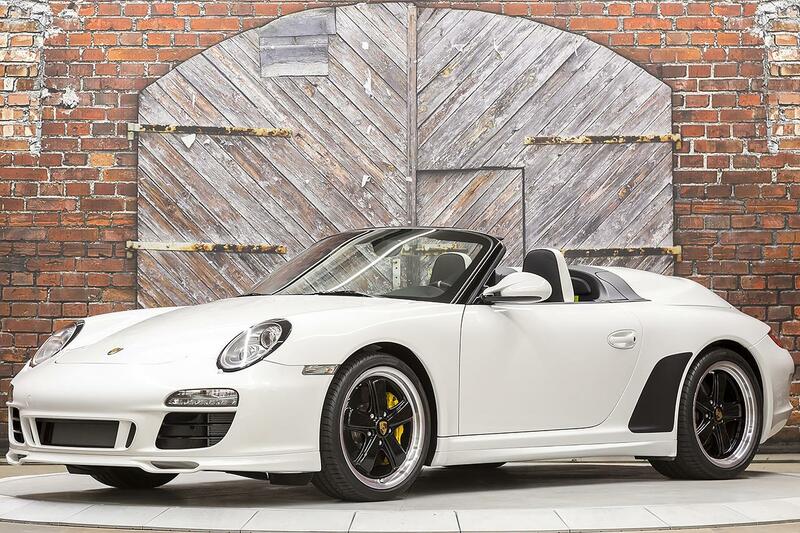 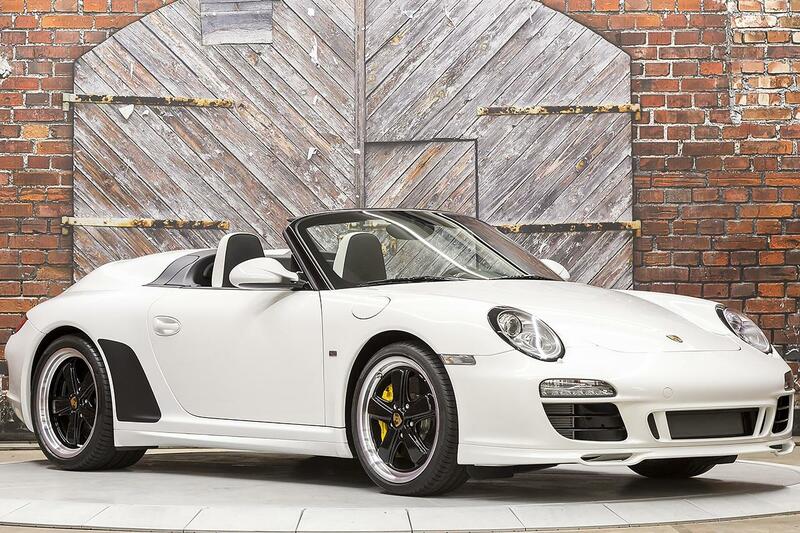 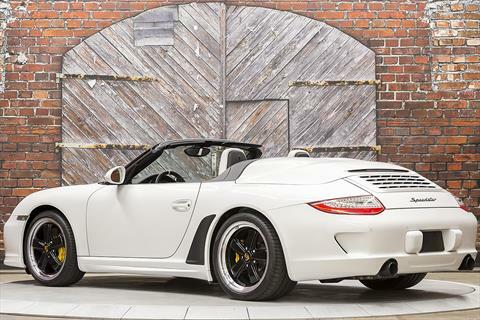 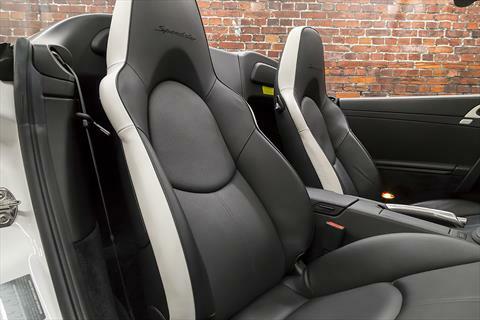 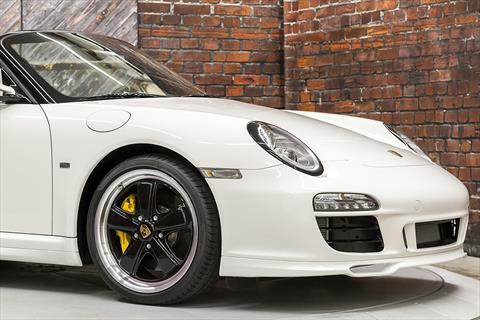 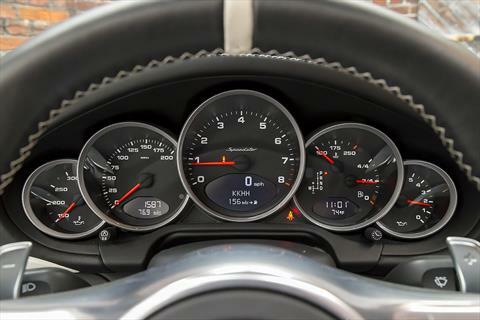 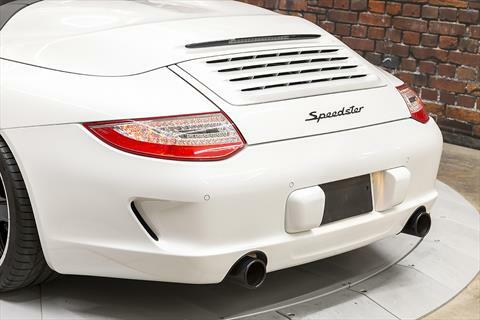 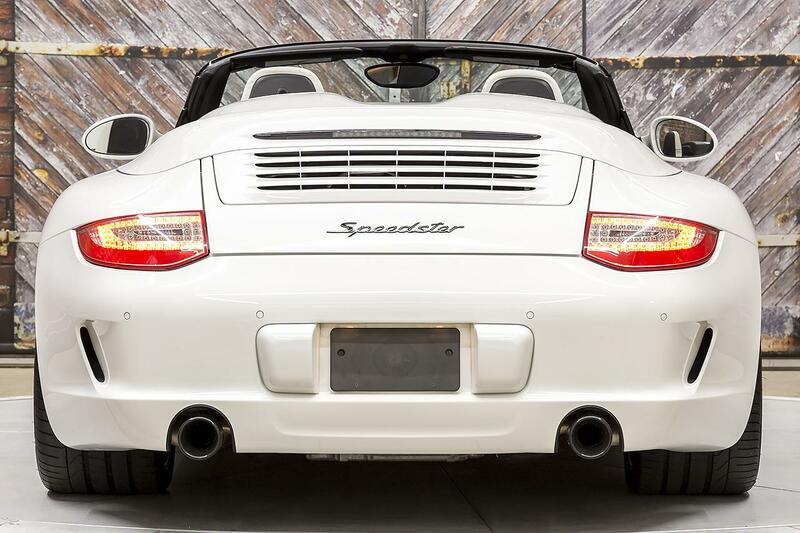 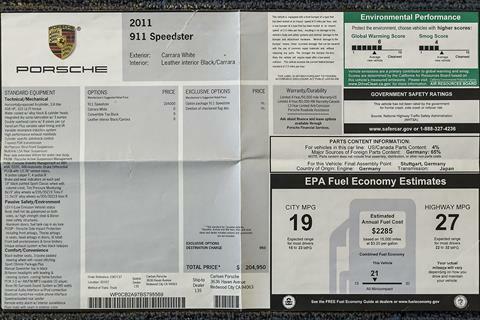 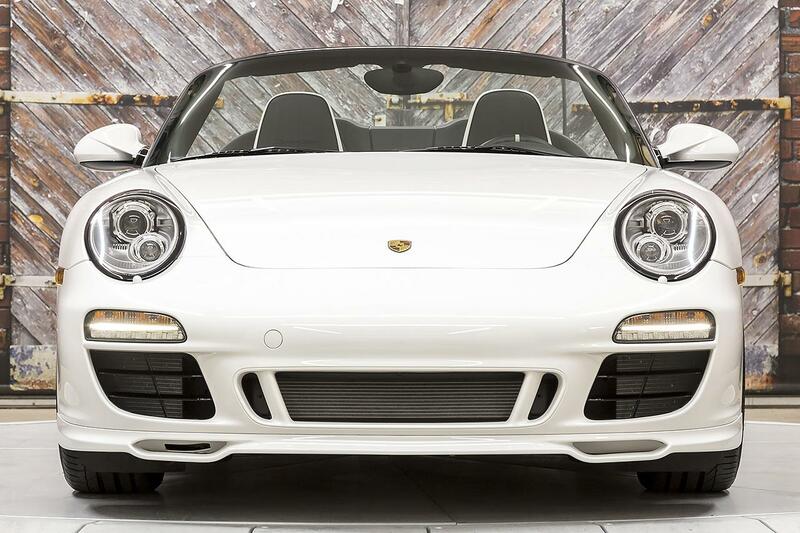 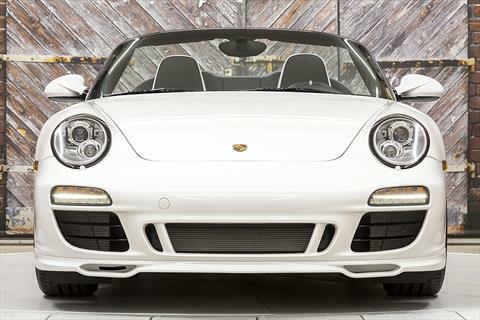 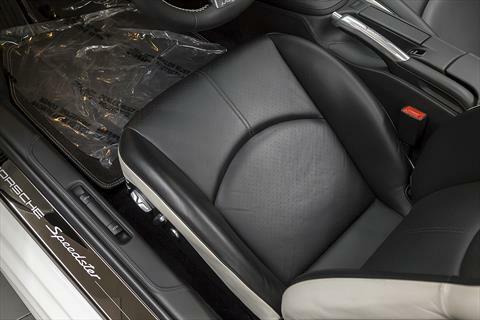 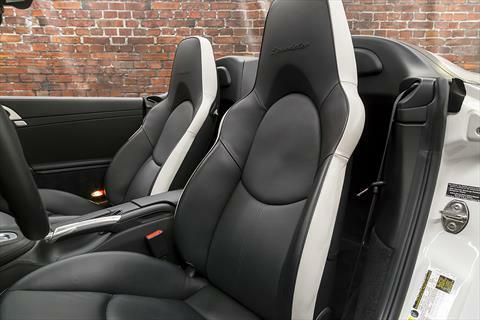 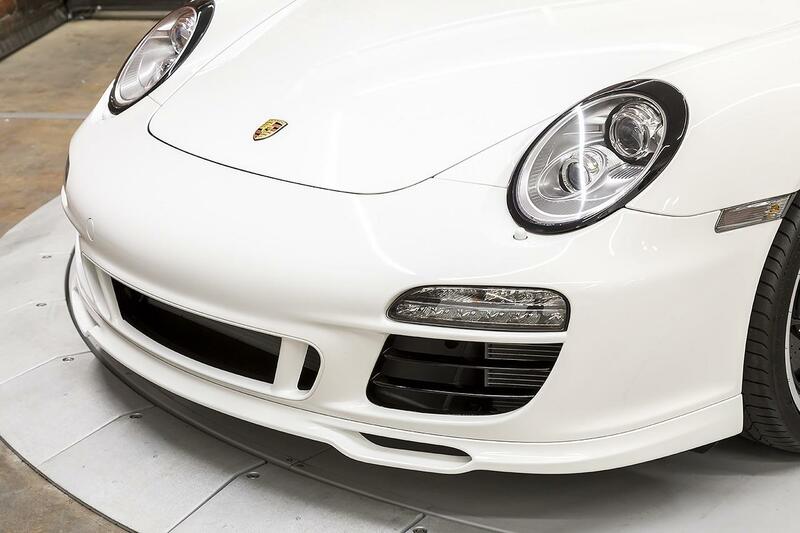 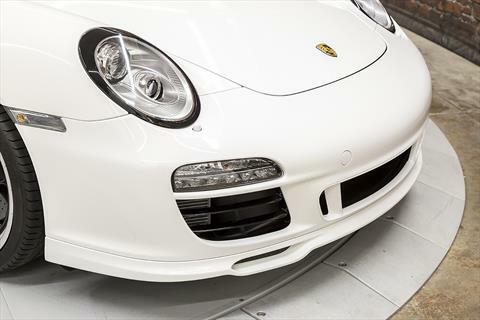 This 2011 Porsche 997 Speedster was sold new by Carlsen Porsche in Redwood City, CA with an original price of $204,950. 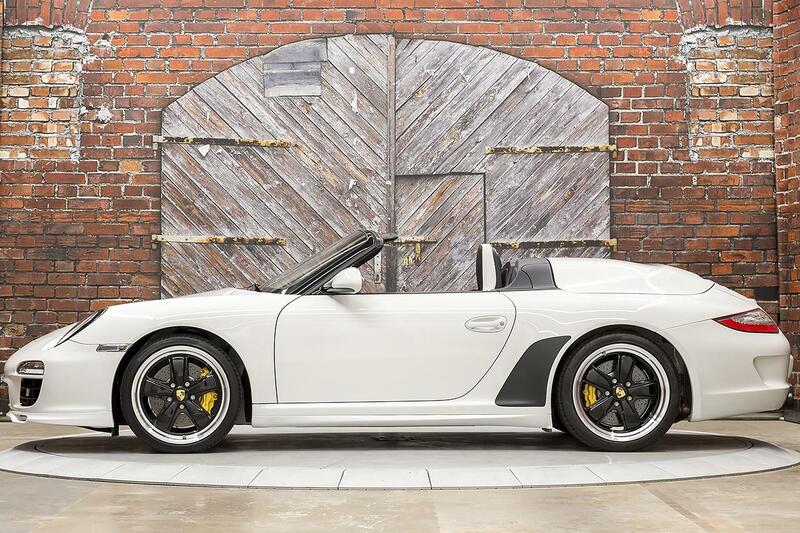 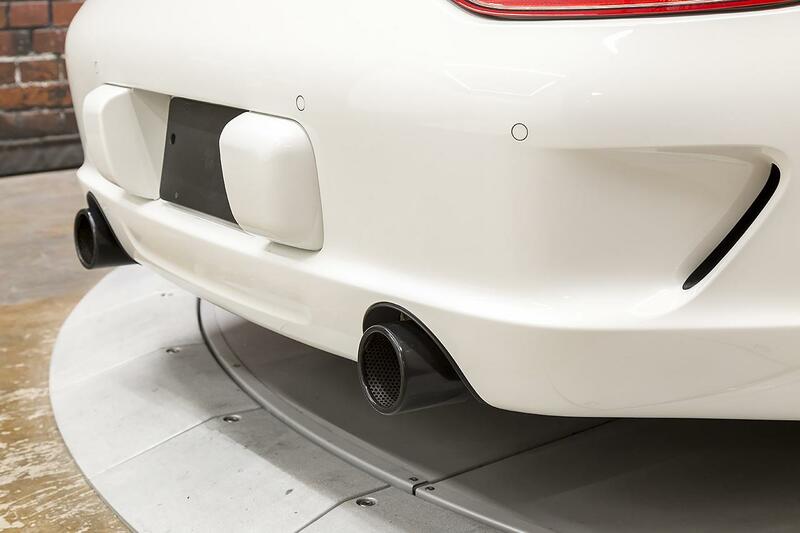 The 2011 911 Speedster is a very special car marking only the third time Porsche has built a Speedster and is quite a bit rarer than either of the previous iterations. 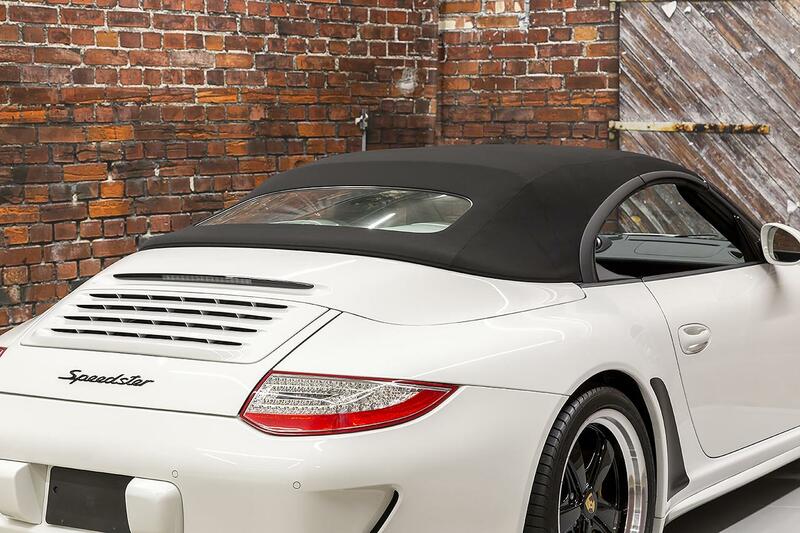 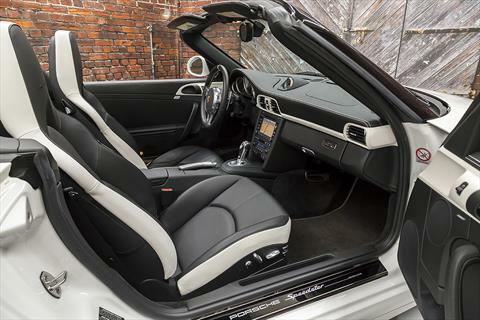 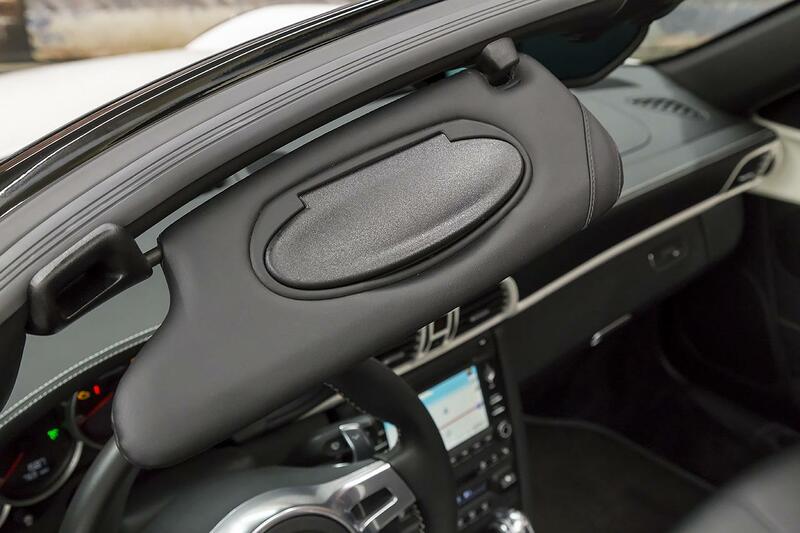 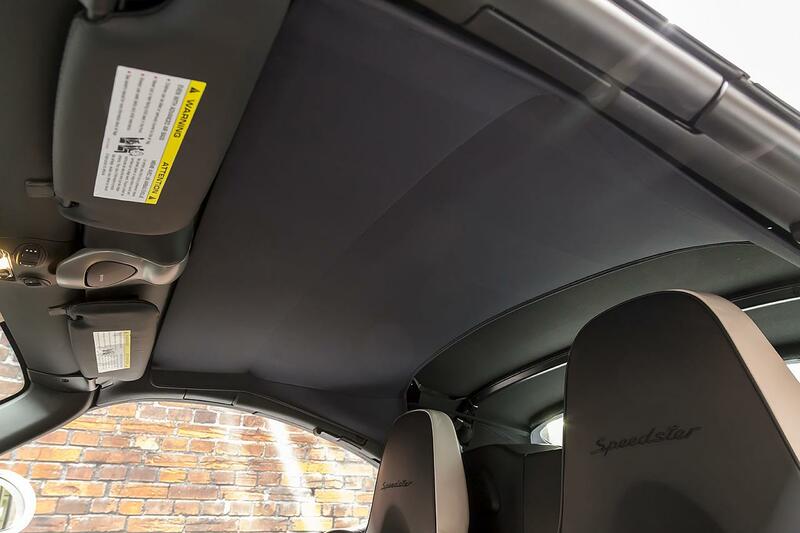 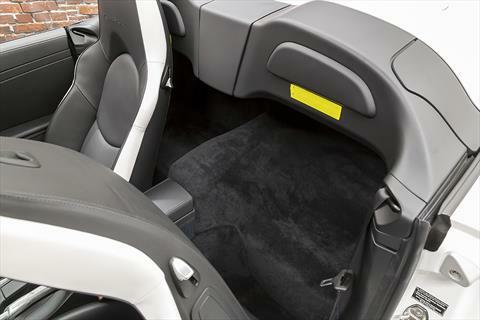 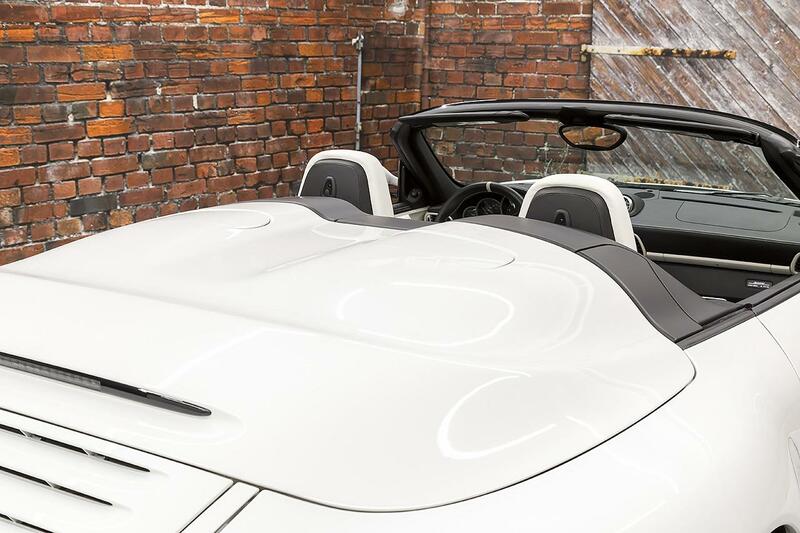 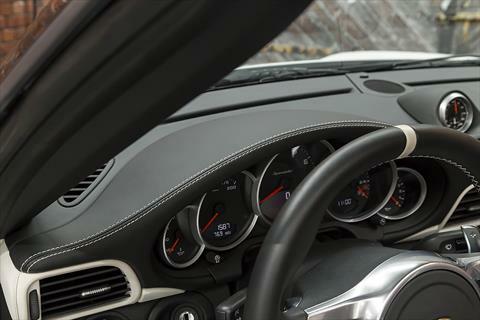 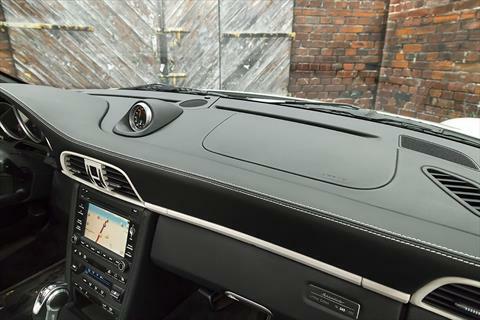 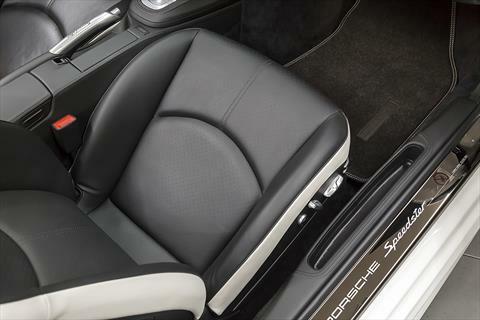 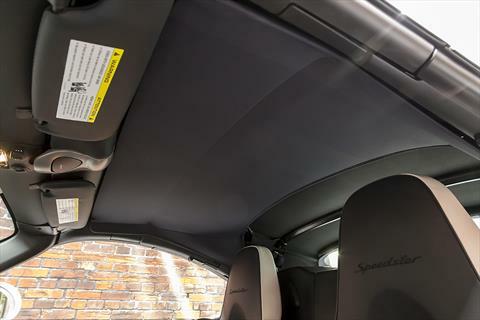 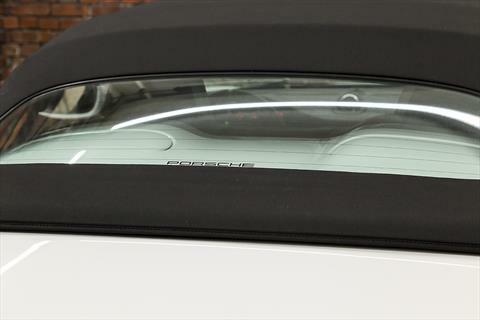 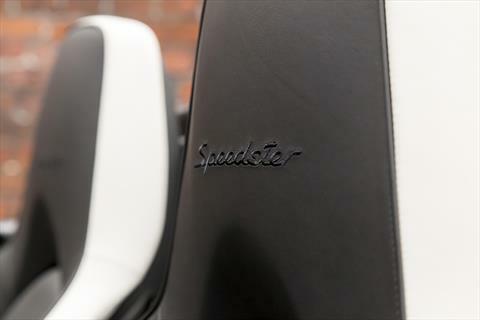 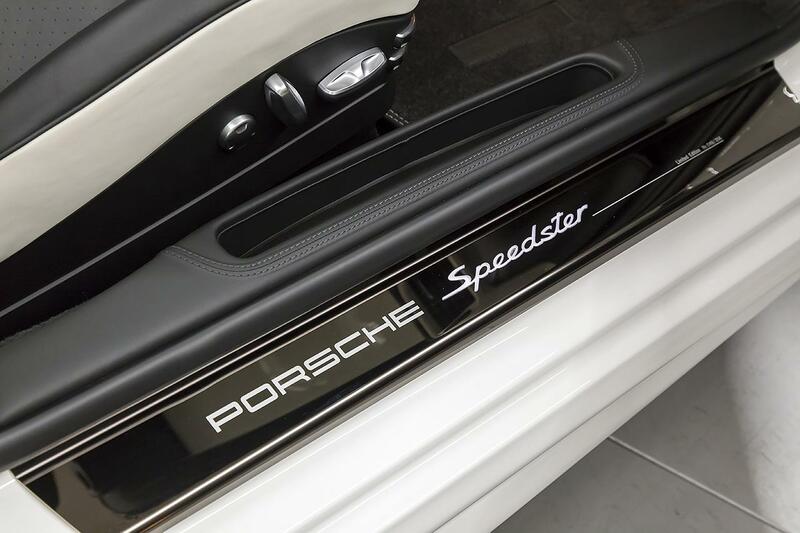 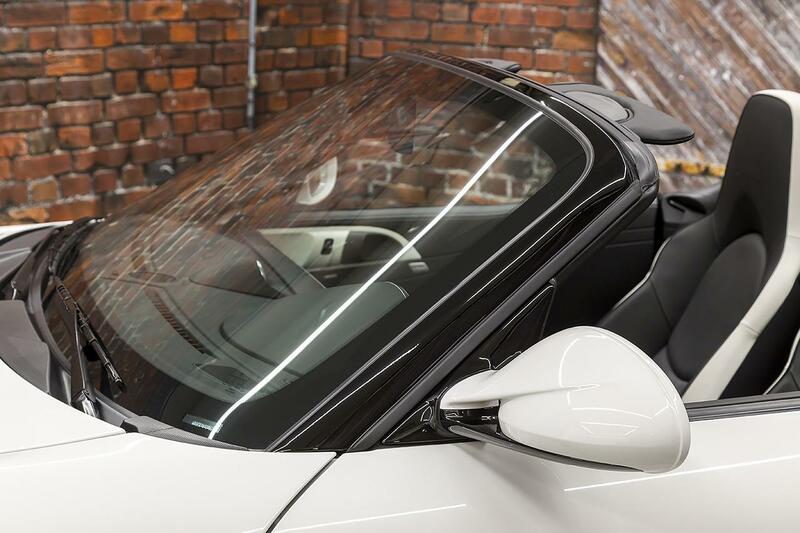 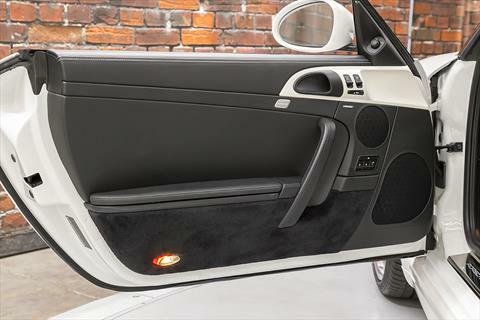 The Speedster starts with the wide body hips of the Carrera 4, but adds a shorter, wider windshield (requiring a completely different front bulkhead) and a lower, longer manual convertible top and a unique tonneau cover. 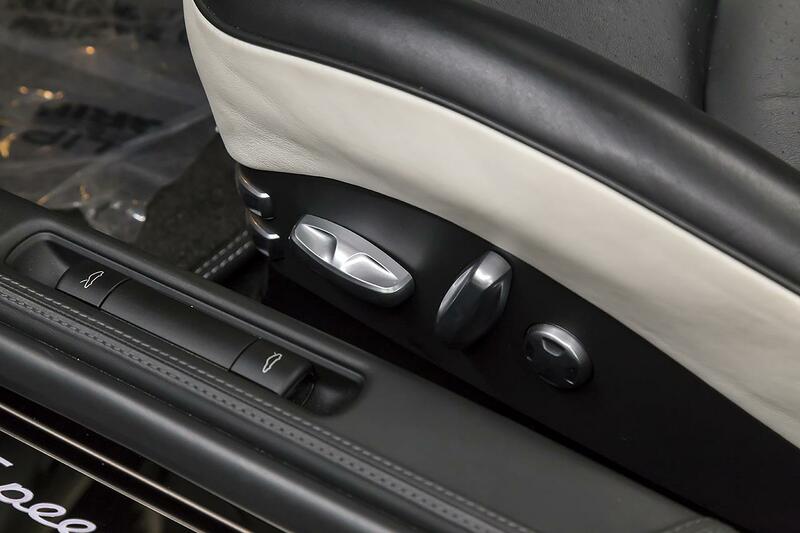 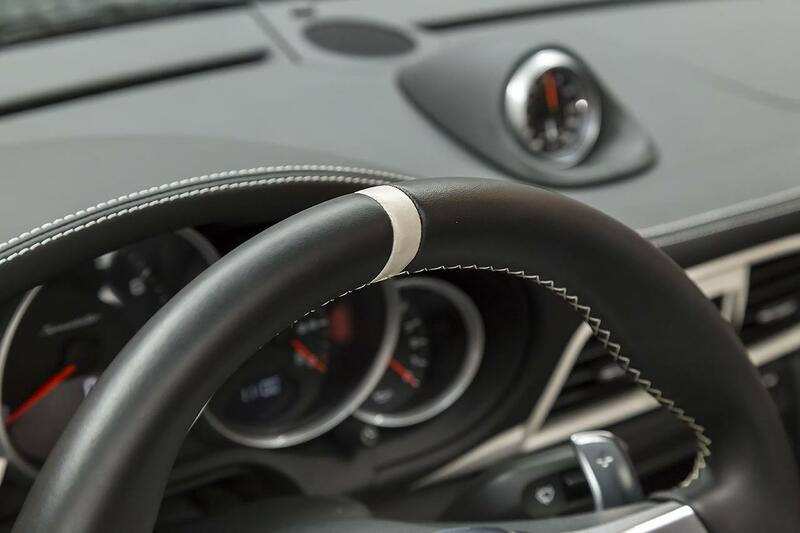 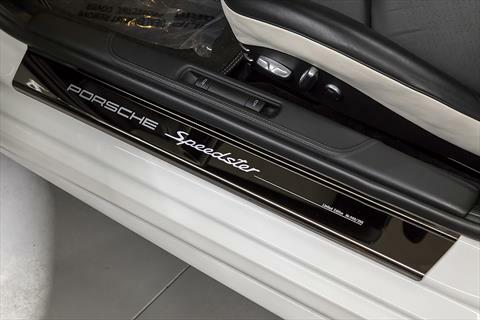 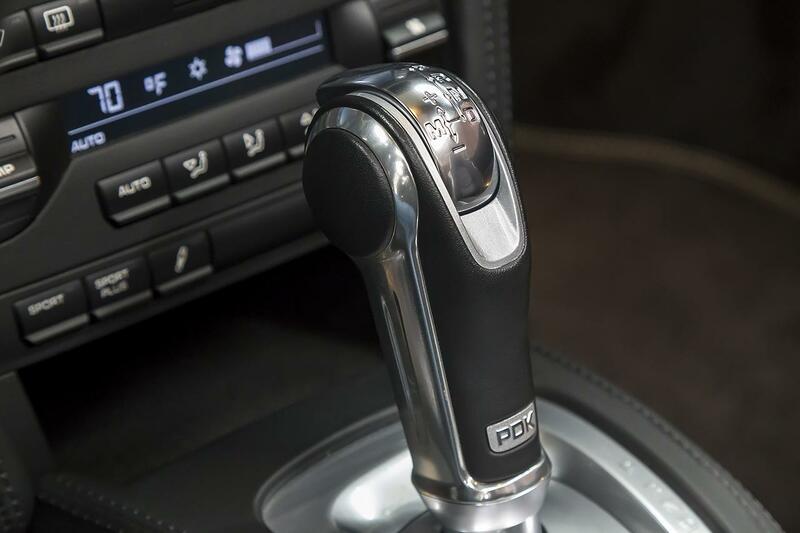 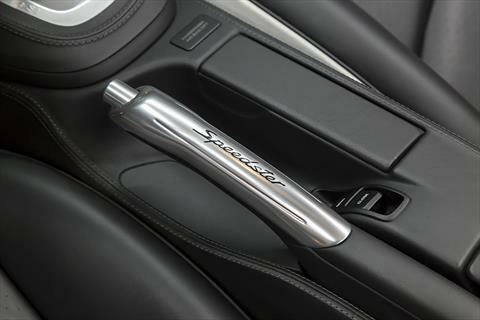 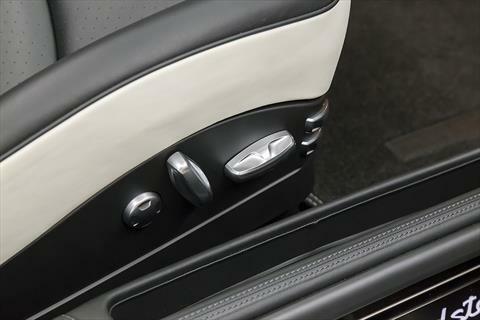 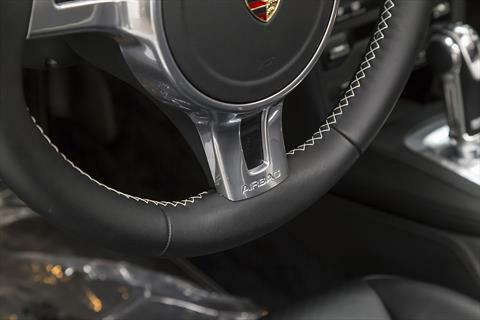 The Speedster was only available with a PDK transmission and in either White or Blue, both with a Black interior and corresponding interior accent color. 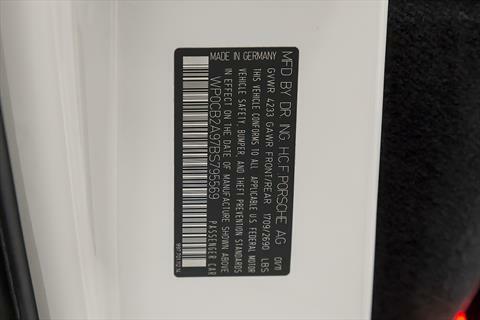 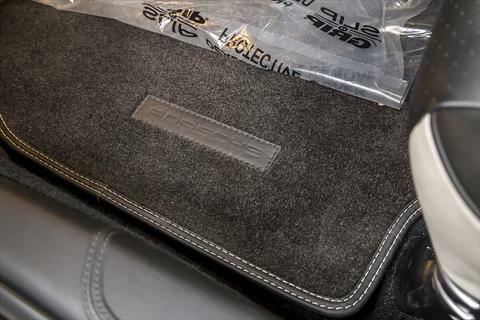 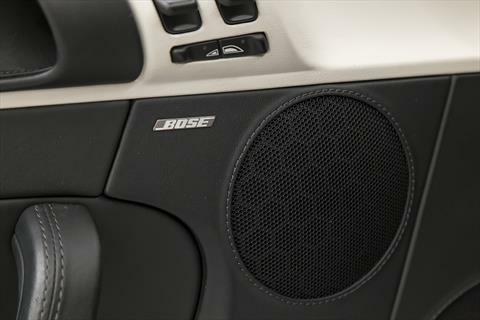 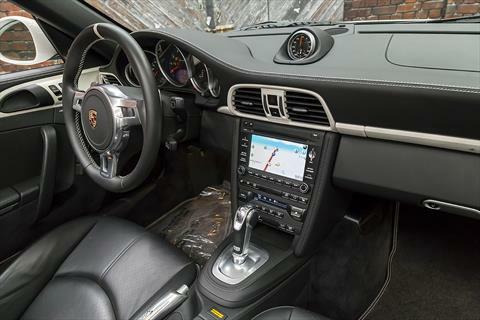 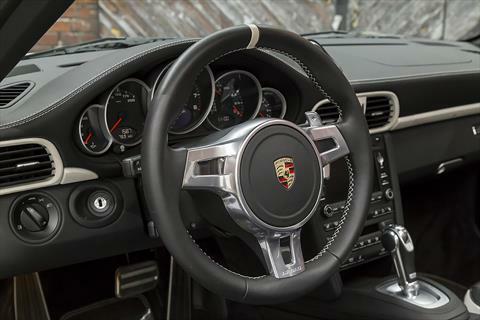 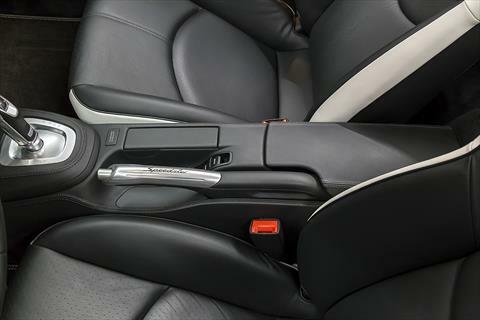 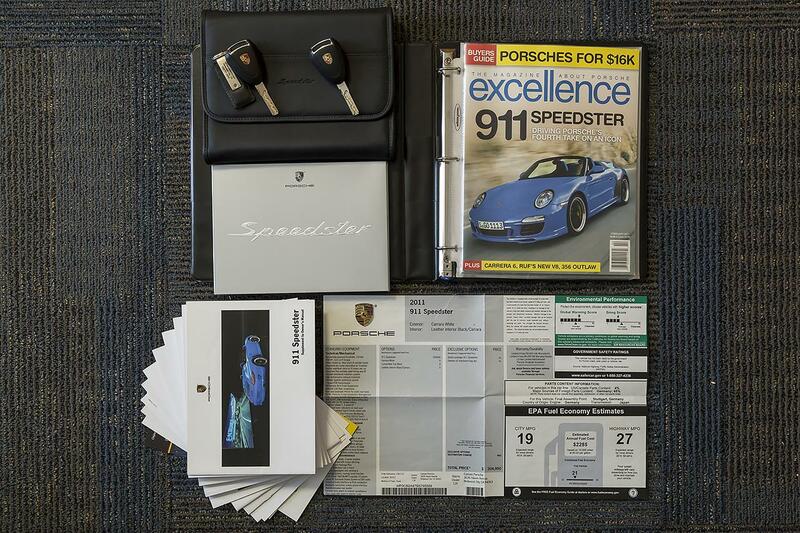 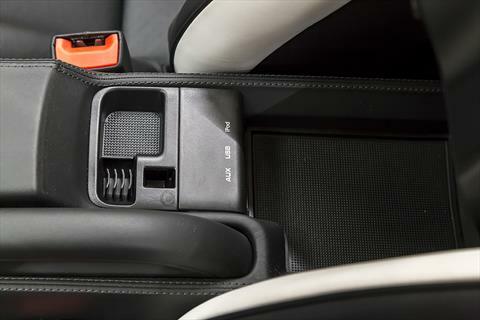 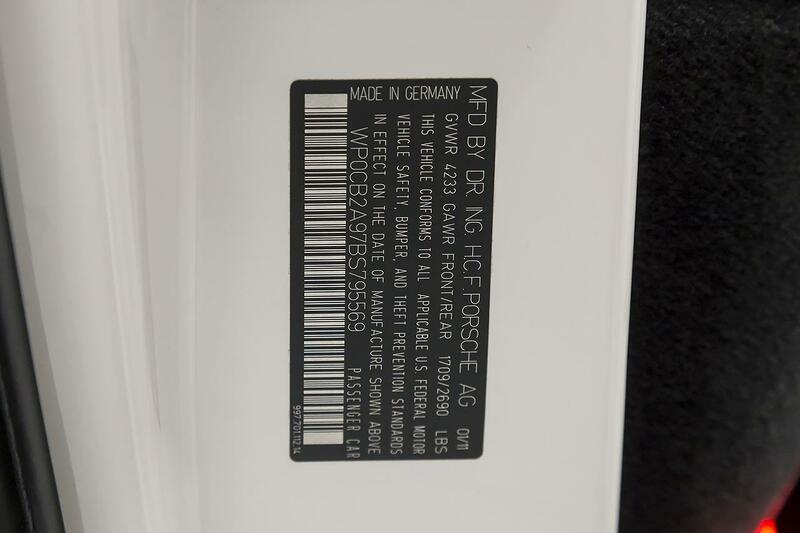 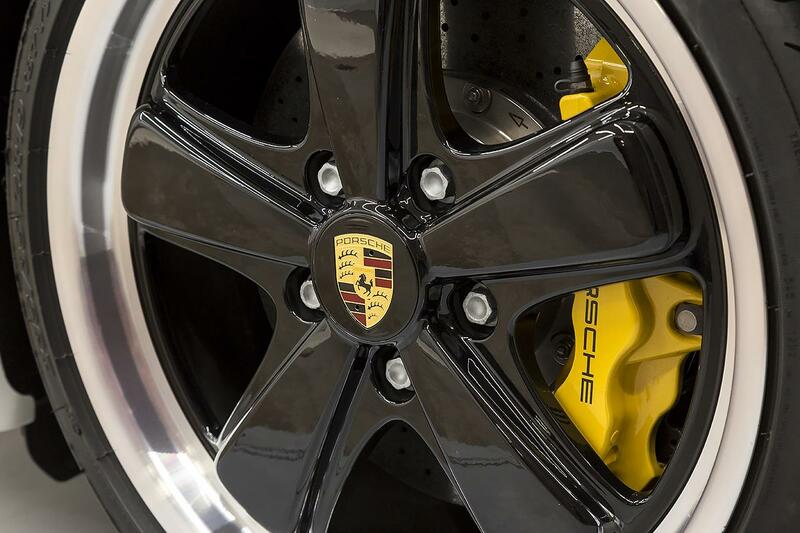 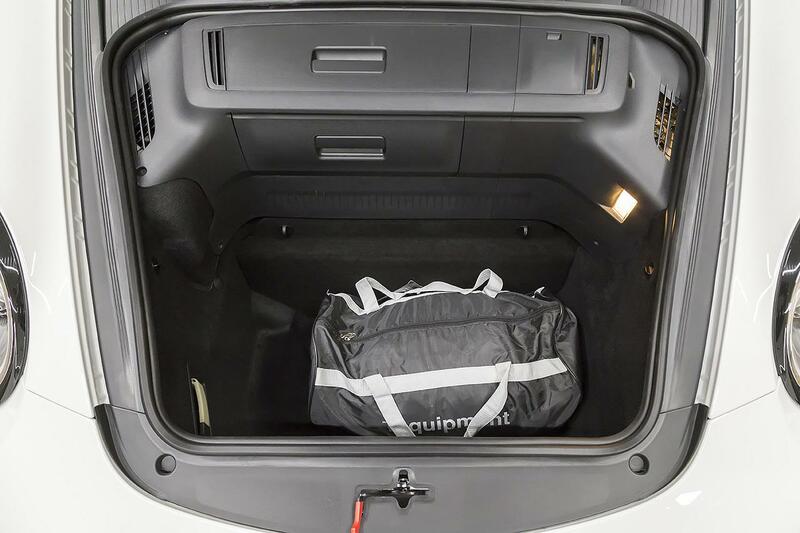 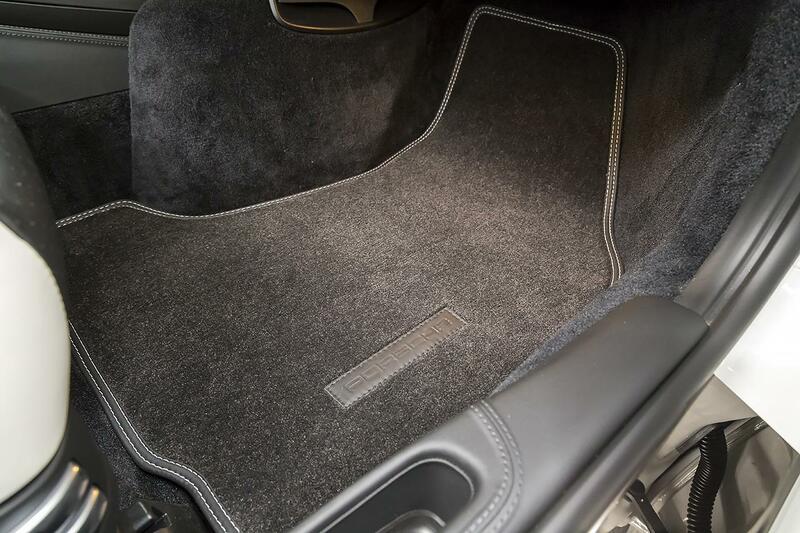 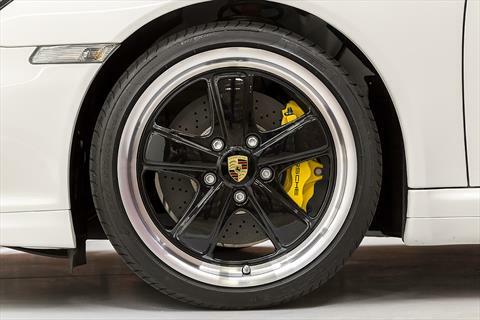 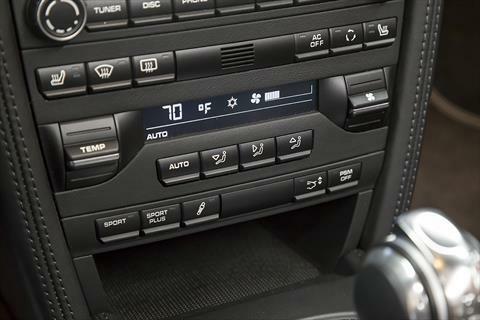 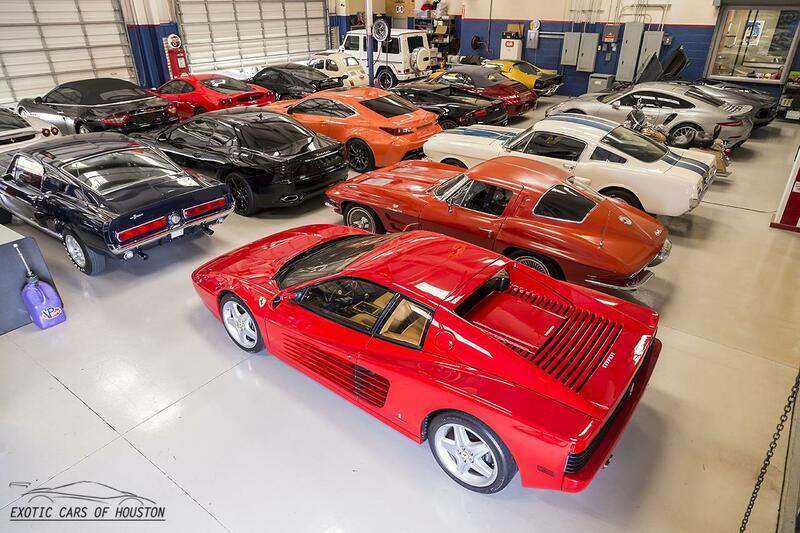 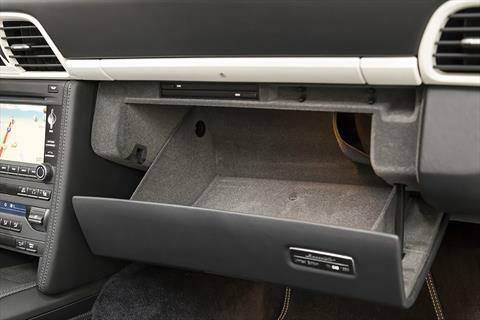 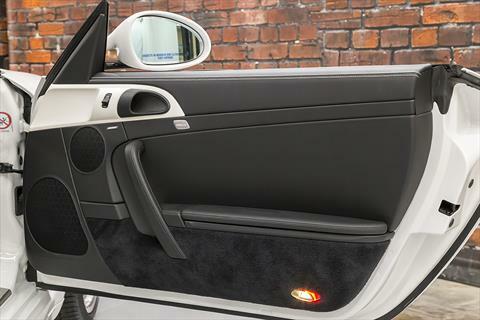 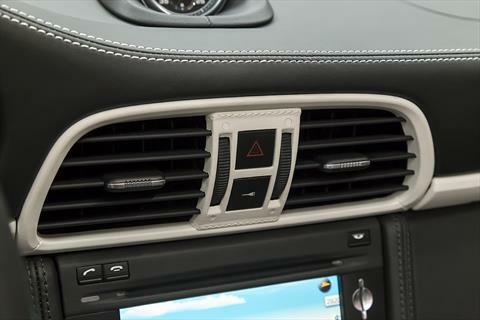 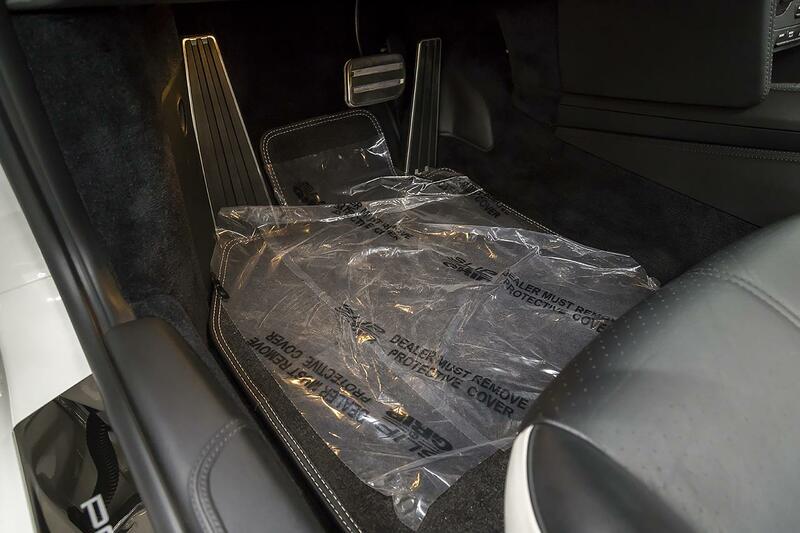 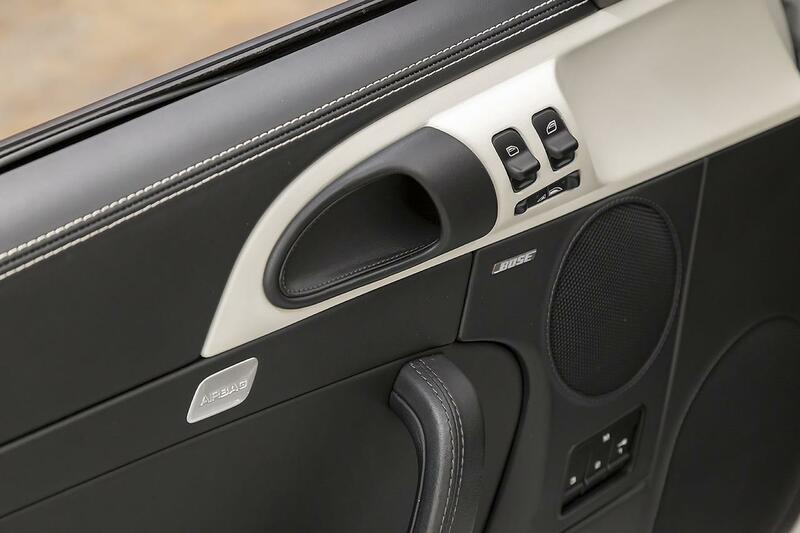 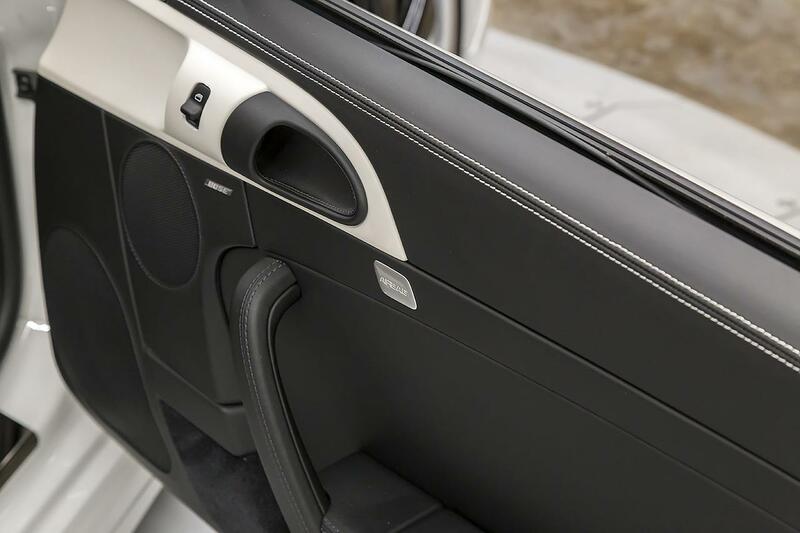 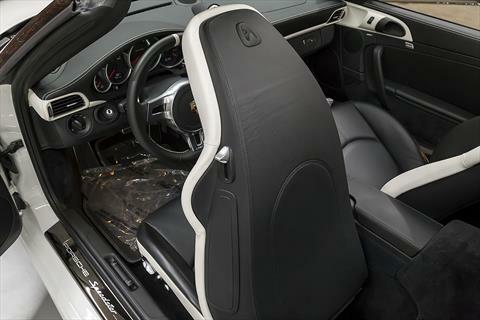 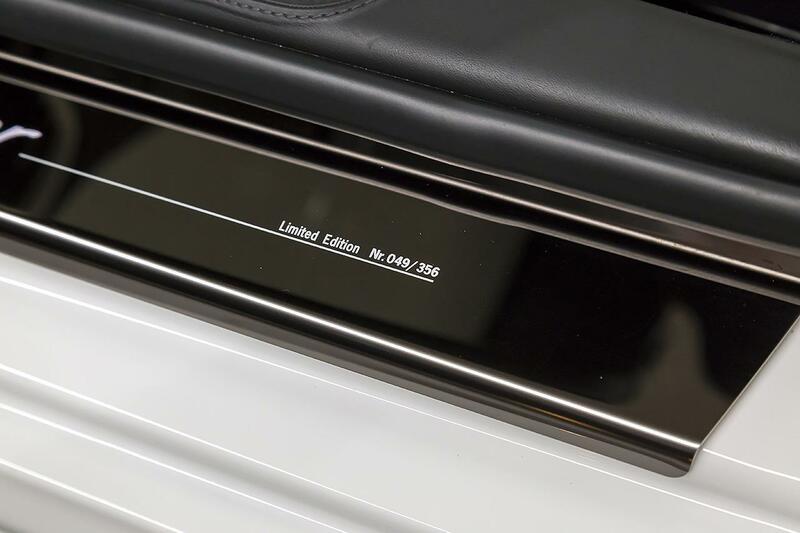 Included (but not limited to) were the PCCB (Porsche Ceramic Composite Brakes), Sport Classic Wheels in Black, PASM (Porsche Active Suspension Management), Porsche Power Kit with unique black-tipped exhaust, Sport Chrono Plus, Bi-Xenon Lights, Bose Surround, and Extensive Leather Coverings throughout the interior. 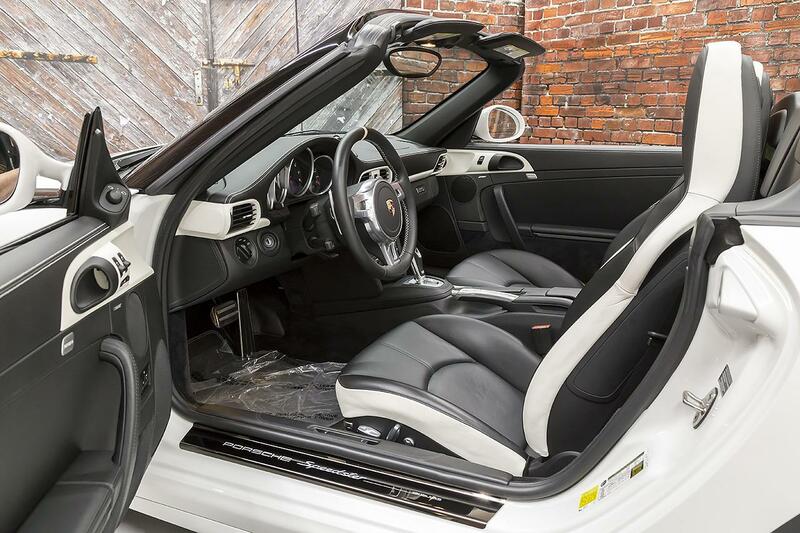 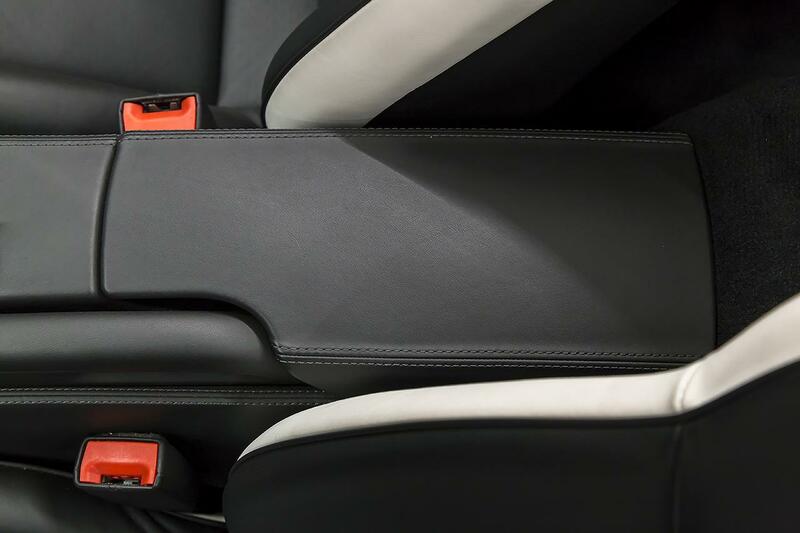 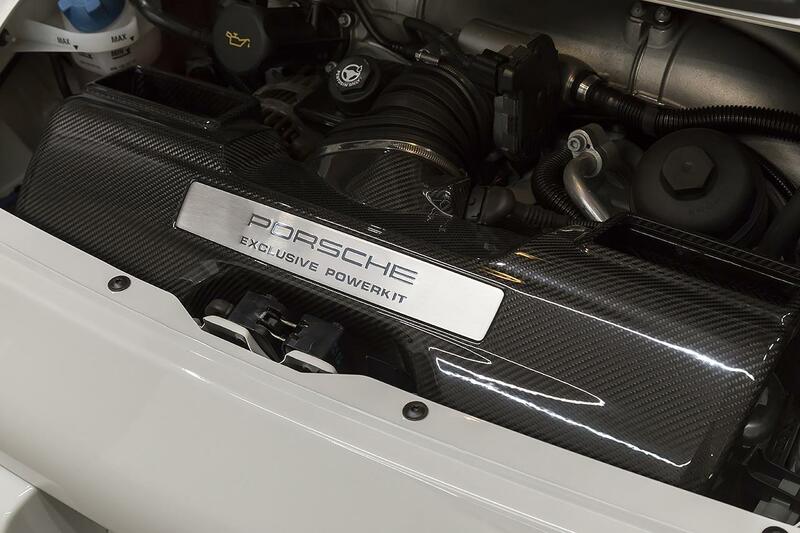 The bodies were built and painted on the assembly line with final assembly of the unique interior performed by the Porsche Exclusive Center.